Every mom knows that some days- dinner is just not going to happen. For me, these days happen especially when my husband is out of town. When I know he’s not going to be around for dinnertime, I’m not very motivated to put a lot of time and energy into cooking. Luckily, I have muffin tin dinners to come to my rescue! 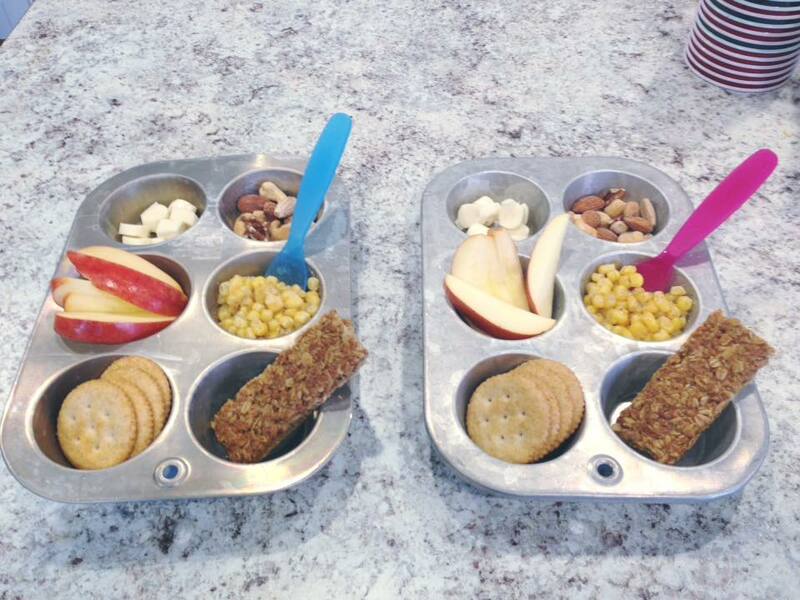 Have you heard of muffin tin dinners? It’s basically a bunch of food served in the little muffin tin cups, and it makes even the most bland, boring food suddenly become the coolest thing ever! Basically, these are every parent’s best friend ;). Muffin tin dinners are my go-to when my hubby is gone, because the work is minimal, and the kids think I’m basically the greatest thing ever- so, win-win :). 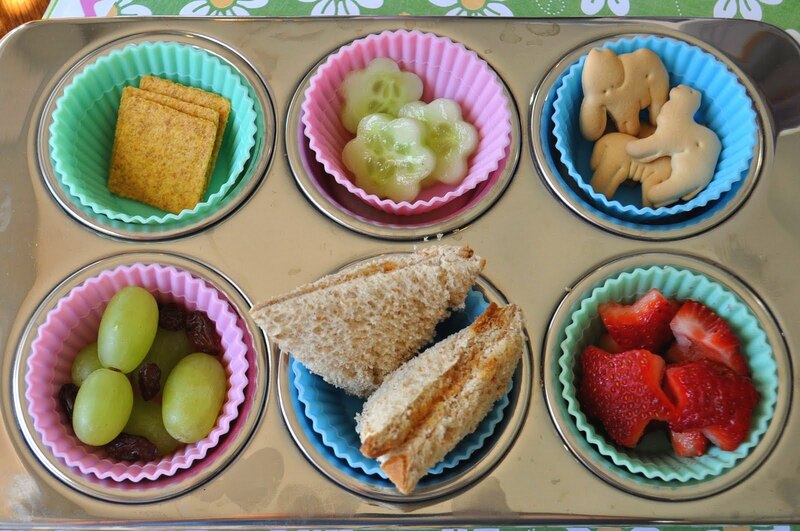 -Sandwiches cut small enough to fit into the muffin tins! You could also have a movie themed night, and use muffin tins as a great little holder for your themed dinner! (E.g Watch Finding Dory and serve an ocean themed muffin tin meal, including things like goldfish, blue jello, fish shaped sandwiches, etc). I also love the idea of creating food that coordinates with a particular book (talk about encouraging reading! ), and muffin tin dinners can be a great way to serve them! 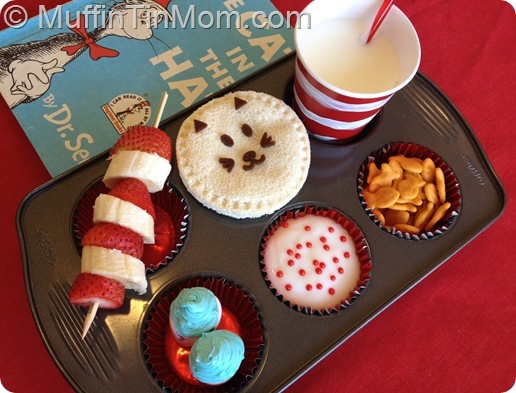 Check out this ADORABLE Cat in the Hat muffin tin dinner! Who wouldn’t want to eat that? 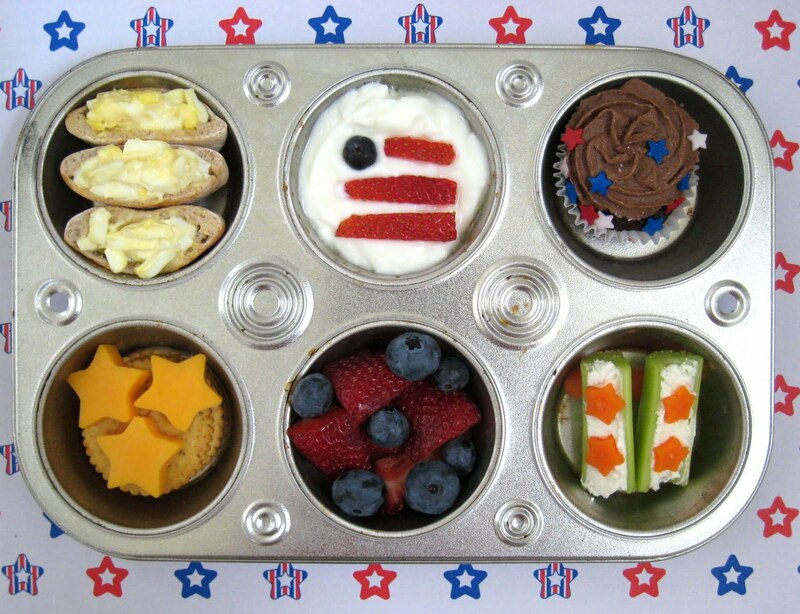 You can coordinate muffin tin dinners for the time of year as well- you can go all out and serve creative fun food like the ones in the picture below, or just keep it simple and serve coordinating colored food (e.g. strawberries, white cheese sticks, etc). And really, even if you don’t want to think about what to stick in each individual cup, just serve whatever you normally would in a muffin tin, and you’ve automatically made dinner that much more exciting;). If you haven’t given muffin tin dinners a shot yet, you need to! If you have used them, what do you like to put in yours? 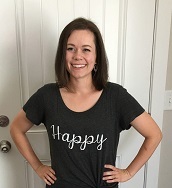 I’d love to hear all about them!